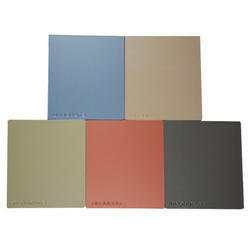 This Metallic Composite Panel is corrosion proof and is, therefore, long lasting. The new comprehensive JC range for machining composite (CFRP) materials features six different milling cutter styles intended to bridge all these materials and provide a competitive program in both metric and inch sizes. This new range of solid carbide tools, end mills and drills, was developed to meet the rising demand in the machining of modern (composite) materials. We are engaged in offering Metallic Composite Panels to our clients. We are proffering this composite panel to our customers in different specifications in order to suit the individual requirements. Our Metal Composite Panels are widely acknowledged in the market for their distinctive features. These are used in various applications such as panel for modern high rise buildings. Global Glass & Glazing Pvt. Ltd.